The Christmas season is now upon us, with just one month to go until the big day. Santa Claus himself has already started spending his weekends at various heritage railways and at locoyard.com we are getting ready for our seasonal advent calendar. Each day at 6AM from the 1st to the 24th December we will publish a railway themed Christmas photograph, keeping up the tradition of the past few years. However, to make things more interesting this time, we would like to use some of your winter railway (real or model) pictures, the more Christmas-esq the better! If you have a picture or pictures that you are willing to share (and of course credit will be given), please send them to locomotiveyard@gmail.com. We will be very grateful for any submissions. We look forward to enjoying the festive season with all readers of locoyard! I should be able to managed a couple of suitably tinselled up GWSR locos, looking like 5542 and Dinmore Manor at the moment for the days I’m on the roster to help with the Santas. Maybe I’ll try and rustle up something christmassy on the model railway front too, but I’m rather busy at the moment! If you could get a picture or two of the GWSR loco’s that’ll be excellent, thank you! 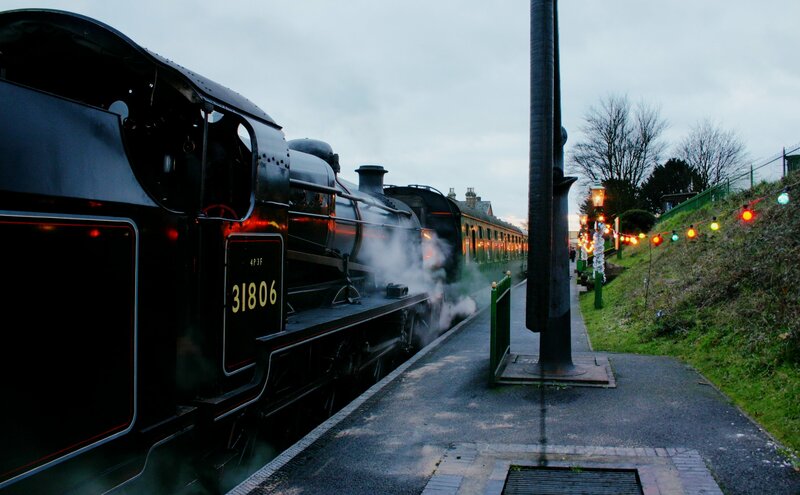 I’ve received a GWR picture already, so looks like they’ll be a GWR theme this year!